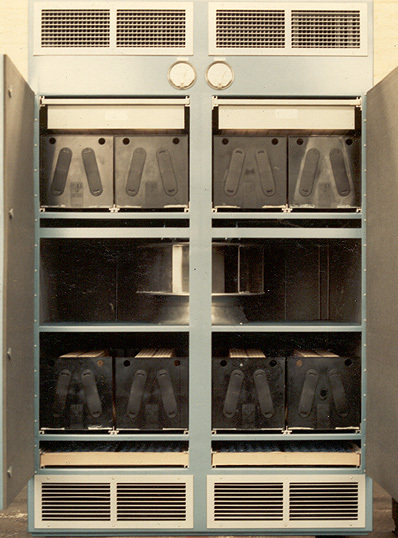 The acid gases in the atmosphere at many process industries exceed the G1 standard required by the instrument society of America to provide protection to process computers and control systems. Sensitive electronic and electrical equipment will be damaged if corrosive gases are present in the environment. Corrosive damage to printed circuit boards can have extreme consequences with misinformation, process failure and costly production downtime. Housings to be built into AHU. They contain chemical filter media in removable V shaped plastic trays. Filter elements are located in extruded aluminium tracking to eliminate bypass. Modules can be easily removed for media sampling and media replacement. 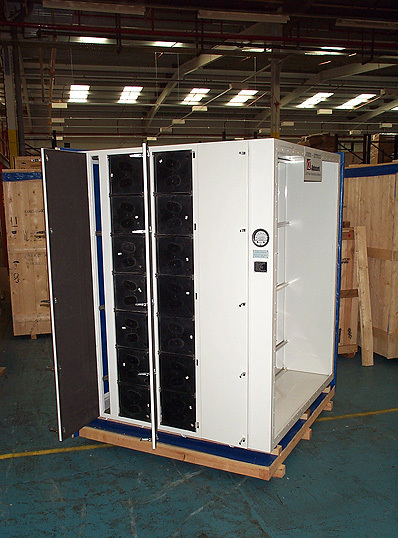 Fully packaged units are available which also include fans, pre and Hepa dust filters and instrumentation. 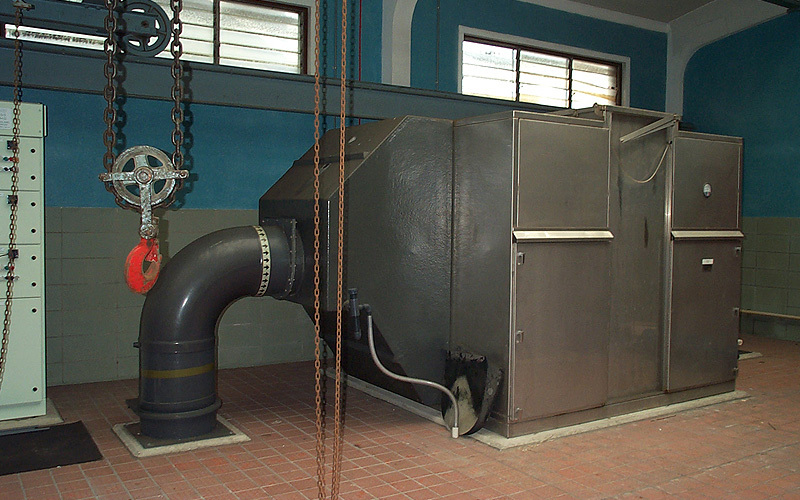 More heavily contaminated atmospheres require heavy-duty scrubbers to clean the pressurisation air. The dry scrubbing media is contained in either horizontal or vertical beds in increments of typically 200 or 300mm depth. Specially prepared coupons strips made from copper and gold are exposed in the museum atmosphere for typically 30 days. 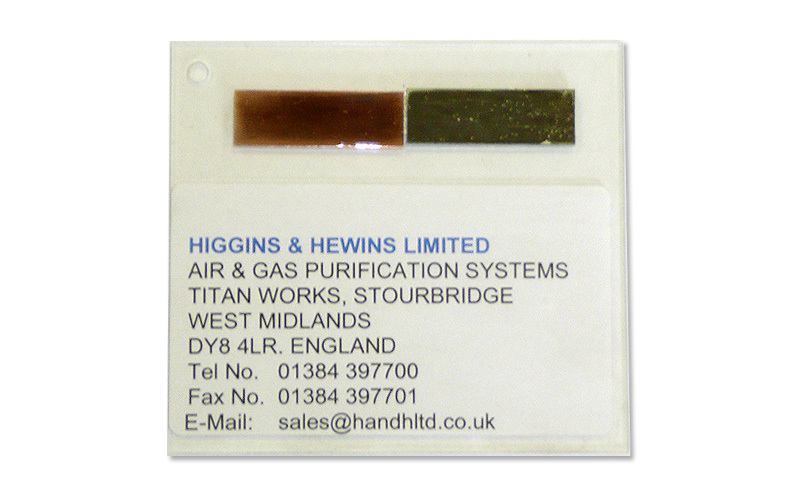 Corrosion levels are then measured in angstroms and the atmosphere can be classified. 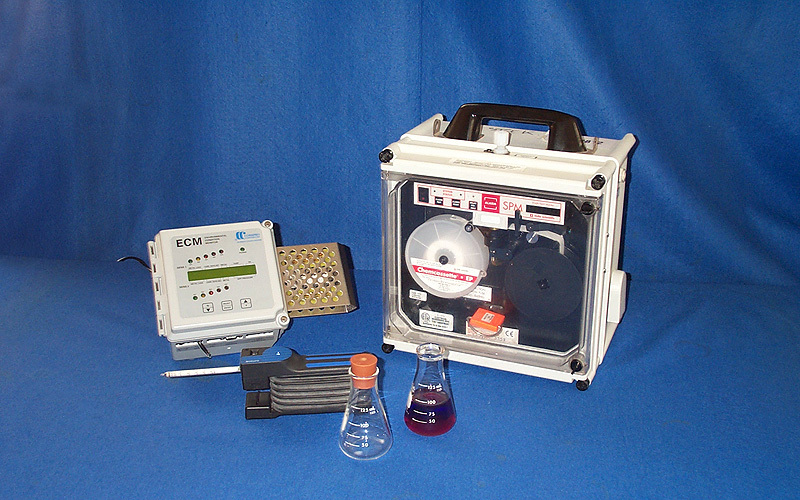 Cost effective method to monitor chemical filter performance. Fully electronic device that continuously monitors the corrosion rate on gold, silver and copper coupons. Constant read out of level of corrosivity, temperature and relative humidity is provided.